Fin’s new job, for the landlord of the privately owned Red River island estate, involves investigating the disappearance salmon and game by poachers, which brings him back into contact with his old friend, Whistler Macaskill. Whistler is a tenant on the estate and risks eviction for non-payment of rent. 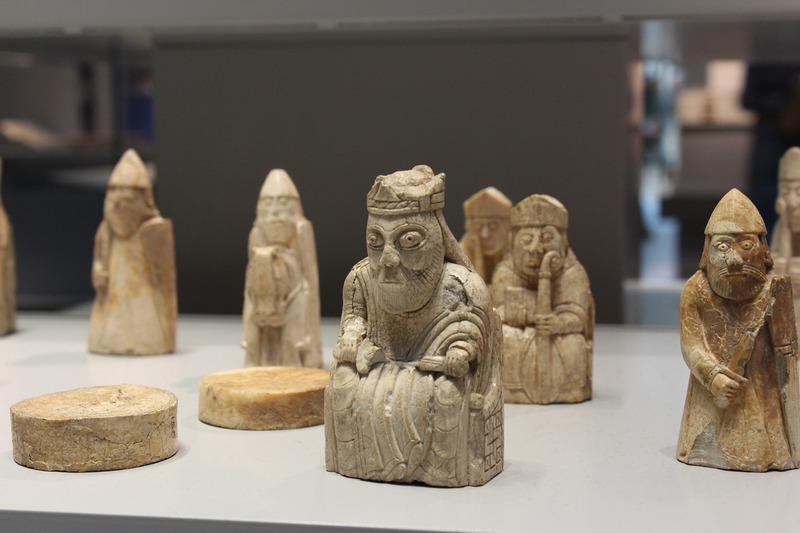 Jamie Wooldridge has taken over the running of the estate from his father, who commissioned Whistler to carve replicas of a famous chess set, for which he hasn’t been paid, to coincide with a gala when the Lewis chessmen will be returned for one day. Fin’s boss is another friend from years ago, Big Kenny Maclean. Whistler’s wife left him for Kenny, taking their young daughter, Anna, with her. After seeking shelter from a storm, Whistler and Fin witness the after effects of a strange phenomenon. A bog burst drains the nearby loch revealing something that has lain hidden under the water for the past seventeen years. There was a stirring of air as the sun edged a little higher, and the mist lifted just a touch.Enough to reveal something white and red catching the light at what must have been the deepest part of the loch. ‘In my rucksack.’ Whistler’s voice was little more than a breath. Finn hurried back to their beehive and crawled inside to find Whistler’s binoculars. When he got out to the ridge again, Whistler hadn’t moved. He continued to stare impassively at the hole where the loch had once been.Fin raised the binoculars to his eyes and adjusted the lenses until the red-and-white object came clearly into focus. ‘Jesus!’ he heard himself whisper, quite involuntarily. The switch from present to past in this story covers Fin’s senior school/ university years and the rise of the Celtic band, Sòlas, who included Roddy Mackenzie, Whistler and several other friends. Fin acted as roadie for the band. At the height of their fame Roddy disappeared, thought to have crashed his small aircraft, but no wreckage was ever found. Now the plane has been discovered, with a body inside that appears to have been a murder victim. Fin and DS George Gunn have their jobs cut out to unravel the mystery. I wondered why Whistler and the band members hadn’t been mentioned previously, especially as Whistler and Fin were such good friends. Perhaps because these characters are only relevant to this storyline….but the connections between contemporaries of such small communities, and actions taken that reverberate through the years rings true. Even so, Whistler is a sympathetic character, given his upbringing which is looked into in the flashbacks, and the loss of his family. He’s not the only one who doesn’t deserve his fate. The characters have developed throughout the series, their backstories unfolding, relationships and friendships explored which allowed them to become completely fleshed out, realistic and familiar. Whistler, and the conspiracy at the heart of the mystery, are the backbone of the story, which is beautifully crafted with the wonderfully descriptive prose of the previous books. I’m sorry to have reached the end of this fantastic trilogy, it’s more than earned its place in my all time favourites. And at risk of repeating myself, once again Peter Forbes’ narration is superb. An interesting historical snippet concerns the Lewis Chessmen, probably made in Norway in the latter half of the twelfth century and found near Uig on the Isle of Lewis in the early part of the nineteenth century. Most of the pieces are on display in the British Museum, while the rest are housed in the National Museum of Scotland in Edinburgh. 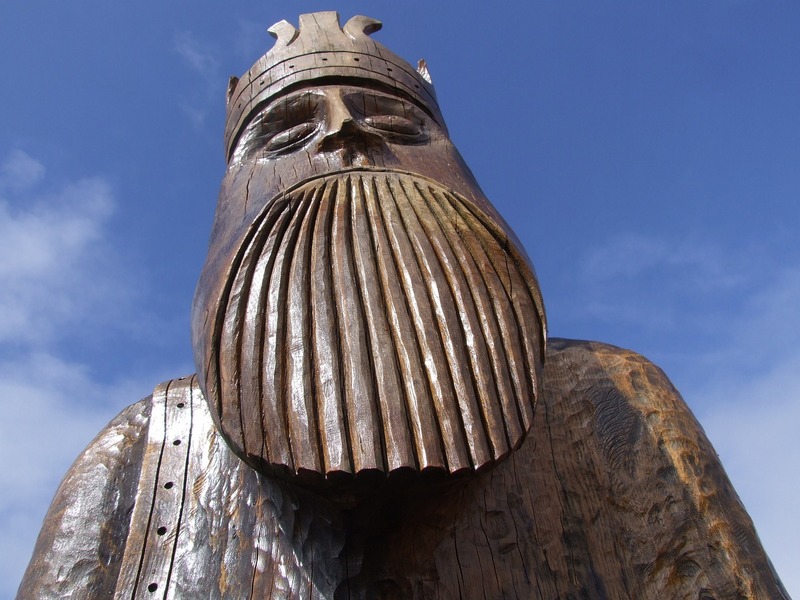 This giant carved wooden replica is situated, I think, in Uig near to where the originals were found. Thanks Cathy, the snippet about the Lewis Chessmen is intriguing.